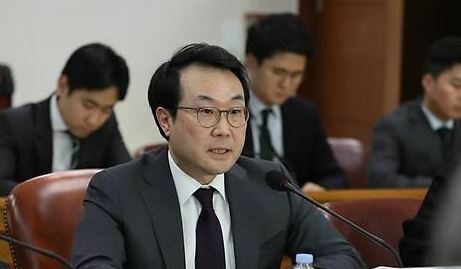 South Korea's special representative for regional peace and security met Wednesday with the Swedish government's envoy to the peninsula, Seoul's foreign ministry said. Lee Do-hoon, special representative for Korean Peninsula peace and security affairs at the Ministry of Foreign Affairs, met Kent Härstedt, who is here on a two-day trip that started Tuesday. "(They) exchanged opinions on cooperation between the two nations related to the Korean Peninsula issue and issues of mutual concern," the ministry said. Härstedt traveled to Pyongyang in June last year for talks with senior North Korean officials. Sweden is one of a few Western countries with a fully operating embassy in North Korea. Its embassy serves as a protecting power for US citizens held in the communist nation, as Washington has no diplomatic representation there.